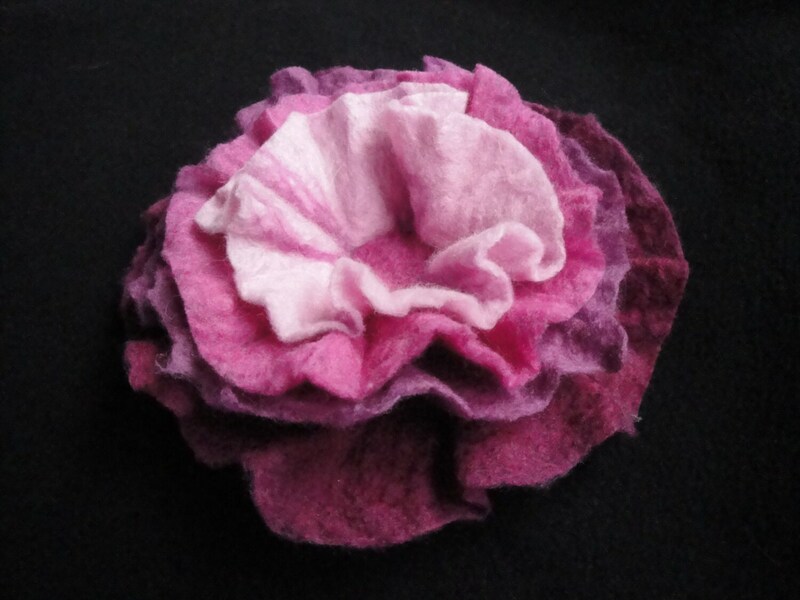 Pink wet felted flower accessory brooch or pin is made from pink dyed merino wool and has a needle felted center. 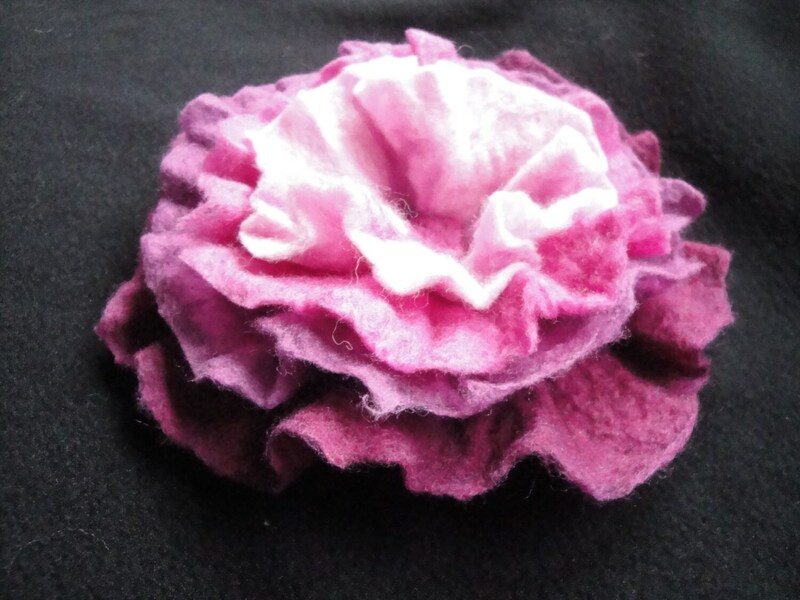 Large wet felted pink flower accessory brooch or pin is made with merino wool. The brooch can be worn on your jacket or coat, blouse or top, in your hat as a hat pin, on your belt or on your purse or as a hair ornament. 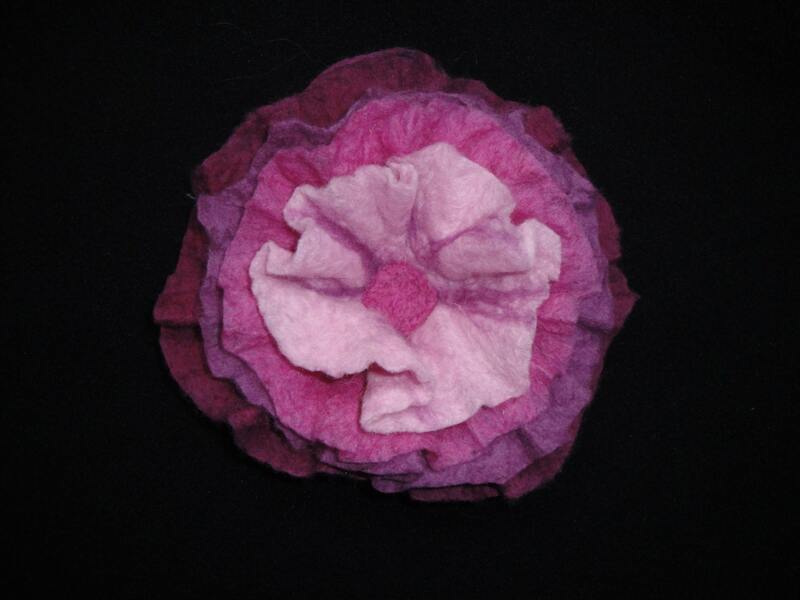 Flower brooches are very versatile accessory. Comes with a metal pin closure. 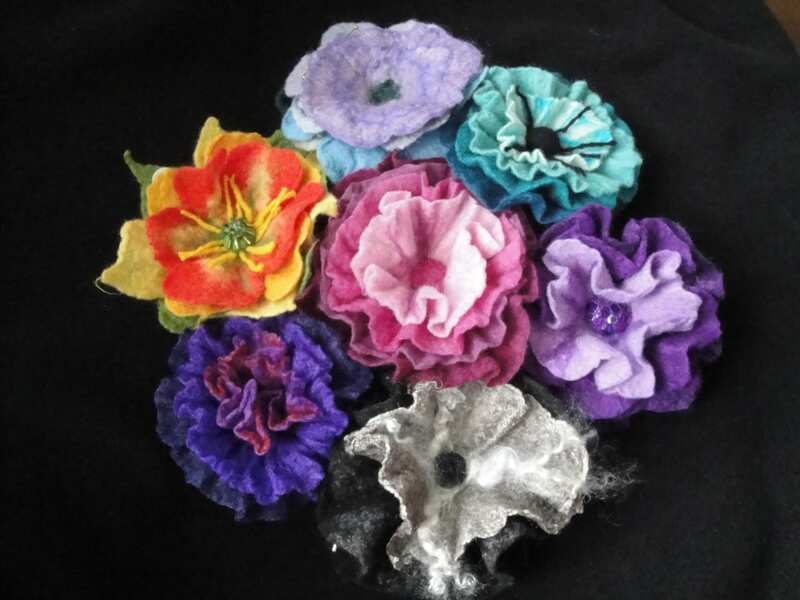 Flower brooches are great little gifts for friends and co-workers ( I'm thinking secrete Santa gifts). I have one customer who buys them as door prizes for her fund raisers. MATERIALS and SOURCES: The dyed merino wool was purchased at Weaving Works a local yarn store in Seattle Washington. 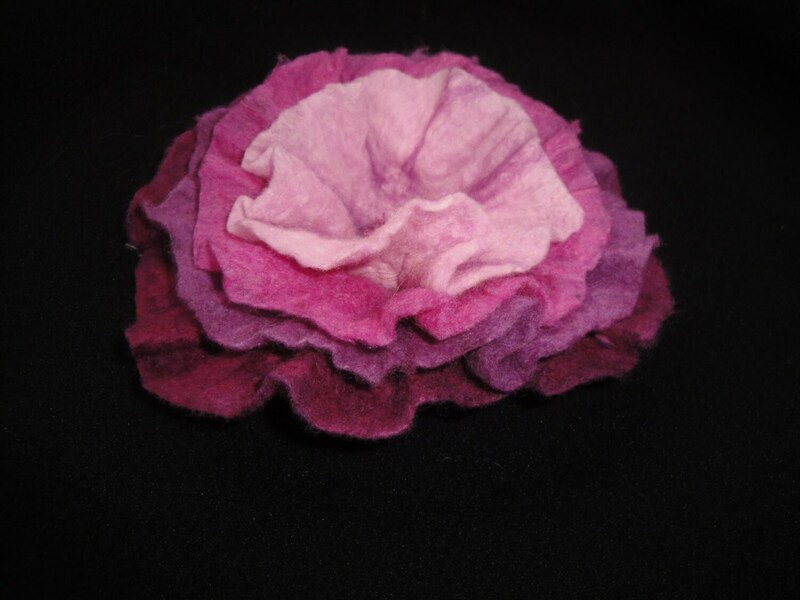 The flower was hand felted by me in my home in Issaquah Washington using only soap, water and fiber. CARE: Hand wash only, gently squeeze out excess water after rinsing, reshape and dry in a cup to help maintain the flower shape. CUSTOM or SPECIAL ORDERS: I will gladly make a special flower for you. Just message me and we can discuss what you want. I do ask for the customary good faith deposit of 50% of the agreed upon price before I start.